Through the Reading Health System Foundation, Reading HealthPlex for Advanced Surgical & Patient Care offers our generous donors a meaningful, visible and lasting legacy in honor of a loved one or a pivotal figure in the life of a donor. When you support the Foundation, you are investing in our mission to support innovation, education and research. A number of locations throughout Reading HealthPlex are currently available for naming, including the main lobby entrance, surgical suites, patient care areas and family lounge areas. 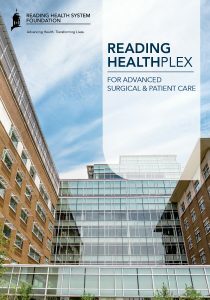 We invite you to visit www.readinghealthplex.org to read more about the donor opportunities in Reading HealthPlex. As a healthcare leader, we are driven to provide our community with the most skilled professionals backed by the latest technology and resources available. 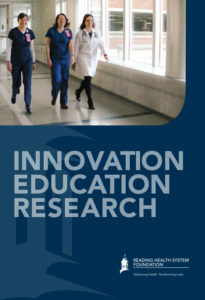 And Reading Health System Foundation is dedicated to delivering on this promise by supporting vital INNOVATION, EDUCATION and RESEARCH to improve the quality of healthcare services for Berks County and the surrounding communities.